SPPA is coming to New Orleans on Wednesday, April 22, with our annual Promo Lunch — this year at a new location! The New Orleans Promo Lunch will be at Zea St. Charles and will feature presentations from Albritton Sales, Crown Products, Hit Promo and Vitronic. The lunch is free for the first 30 distributors who register and $25 for all others. Click here to register for the New Orleans Promo Lunch. 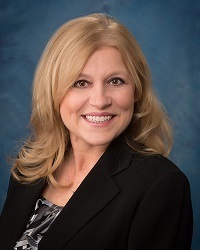 Lisa Parker, MAS, has been recently named Southeast Sales Manger for American Ad Bag. Parker brings over 20 years of industry experience to the American Ad Bag sales team. "Lisa's vast experience in developing loyalty-driven relationships with clients to help them develop and implement complete sales programs on both the regional and national level was key in hiring Lisa," said Gary Semrow, Chief Marketing Officer and Sales Manger. "Lisa's commitment to continuing education and personal development were other aspects in hiring her. She serves on PPAI's Woman's Leadership Conference committee along with PPAI's Legislative Education and Action Day (L.E.A.D.) committee. She has also served on the PPAMS board of directors, including several terms as secretary and two terms as president. She is currently serving as immediate past president of PPAMS. This level of service will greatly enhance our distributor partners," commented Semrow. "When the opportunity to join the American Ad Bag team came along, it was an easy decision because of the great reputation AAB has in our industry, including past recipient of Counselor's Best Places to Work, PPB's Best Bosses and Counselor's Supplier Family Business of the Year," said Parker. Lisa Parker can be reached at (615) 519-8284 or LisaP@adbag.com. Yaniv Liron has pulled cash and credit from every available source to keep his 11-year-old web design and development business, Lumina, running smoothly — a situation familiar to many small-business owners. Even though his company, in New York City, is established and profitable, obtaining a bank loan or credit line has always been painful. The paperwork takes days to prepare, approval decisions can drag on for weeks or months and the process, he said, "involves selling your soul and begging on your knees." Fast Company magazine asked a range of "leading lights" in the marketing industry for predictions on how the marketing landscape would evolve over the next 5 years. I was a bit disappointed. Most predicted further growth of already familiar trends; the growth of mobile and highly personalized brand experiences driven by real time customer data; increased customer focus on whether the brand was "good for me and good for the planet;" the rise of video, more co-created content, products and services and winning the battle for cultural relevance where the buying experience will be as important as the product itself. According to author Tom Demers: A couple of years back, I wrote a post about how to get results from SEO on a shoestring budget. As more businesses — and my own consulting company — are spending more time on content marketing, the same questions that small businesses have had about channels like SEO and PPC have started to pop up surrounding content marketing: This is so expensive — how can I do this on (insert extremely limited budget here)? Is the party over for social media? The two most dynamic topics in news publishing today have to be social media and mobile publishing — comprising mobile Web and mobile-apps. They're dynamic for different reasons and in different ways. Mobile usage is on a brilliant ascent, and at just the start of it, while social-media sites vary in popularity and engagement. As this very article came together, the tech media announced the final coffin nail for Google+. Four out of 10 small businesses are likely to experience a property or general liability claim in the next 10 years, according to an analysis of The Hartford's small business claims. Topping the list for the most common claim is burglary and theft, however, the most costly claim for a small business is reputational harm, which includes libel, slander and violation of privacy. "An unexpected event happens more often than many small business owners realize," said Stephanie Bush, senior vice president of Small Commercial insurance at The Hartford. Did you know you are marketing your firm when you are hiring people? So, the way that you treat candidates, start to finish, can impact whether or not they become — or remain — good customers. Sometimes prospective employees will come to your company because they are satisfied customers, and they think that your company is a good place to work. They may have heard great things about your company.